Advantech’s WebAccess/CNC technology provides enhanced production line efficiency through seamless data acquisition and visualization. The production lines of parts manufacturers for major automotive brands require cutting-edge precision and coordination. Timing is critical to maximizing their productivity, and maintaining quality control relies on a complex chain of robotic arms, sensors, and other instruments working seamlessly. One parts manufacturer in Japan recently faced a specific problem hindering the coordination of their production lines; namely, the inability to efficiently collect and visualize data from their FUNAC CNC machines. 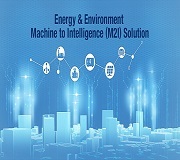 The company needed a means of easily collecting and displaying data on power and air consumption as well as grinding wheel wear, which were to be used for machine analysis. However, the manufacturer’s in-house operations and IT engineers lacked the time and knowledge to establish an effective strategy. 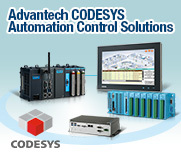 Advantech’s WebAccess/CNC is a software solution for the networking of CNC machines. In the case of this parts manufacturer, WebAccess/CNC allowed for the integration of the manufacturer’s entire data acquisition solution into a single package. WebAccess/CNC provides major CNC and I/O device monitoring capabilities as well as support for a range of protocols that enable the connection of common industrial devices and PLCs. 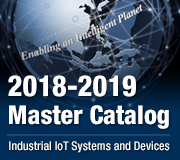 Advantech provided an end-to-end solution that included WebAccess/CNC, an UNO-2483G high-performance automation computer, an EKI-5528 8FE unmanaged Ethernet switch, ADAM-4000 series I/O modules, and an FPM-7151W industrial monitor, thus delivering a complete package that enabled the manufacturer to realize real-time information management and status virtualization from any of its FANUC CNC machines, QR code readers, and related sensors. This resulted in a more streamlined and extensive process control. 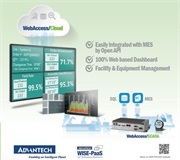 Advantech’s WebAccess/CNC also brought the manufacturer significant savings in terms of engineering time. Broadly speaking, the software platform allows for the real-time monitoring of the connection status, operation mode, alarm status, availability, and equipment cycle times of any connected CNC machines. A more specific example is the manufacturer’s need for grinding wheel wear data; WebAccess/CNC achieved this via real-time monitoring of spindle loading, which facilitated the rapid analysis of tool wear and rendered the process of identifying any damage more efficient. Another feature serving to maximize CNC efficiency is the system’s CNC alarm feature, which provides specific alarms from CNC records; this can serve as a crucial reference for machine maintenance, aiding the manufacturer’s in-house engineers and line workers with foreseeing potential problems before they arise, thus preventing unnecessary machine downtime for repairs. Also assisting to achieve this end, the maintenance configuration interface provides basic preventive maintenance functions and manufacturer contact information in the event that any assistance is required. 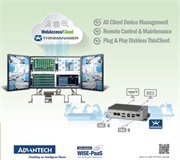 The clear visualization of critical data is not limited to a single command center or monitor; rather, Advantech’s WebAccess/CNC solution dashboard display is available to individual production line workers, further aiding in enhancing productivity. 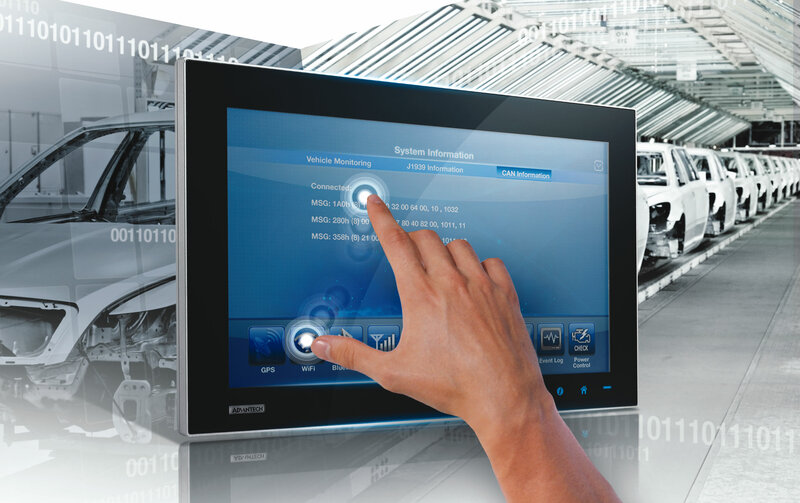 For example, tablets and other mobile devices can be set up to have dashboard access, allowing the remote monitoring and adjustment of production status. In summary, production lines involve complex interactions among sophisticated machinery and technology; while such systems are necessarily complex, the solutions to problems involving production lines do not need to be. By providing the manufacturer with a fully integrated software/hardware package, Advantech quickly solved their data acquisition and visualization problems, enhancing their productivity by simplifying their CNC machine engineering and maintenance needs.